Update: The Humane Society of the United States (HSUS) has announced that Corteva Agriscience will release the beagles being used in this awful test to the Michigan Humane Society, where they will be cared for until they're ready to be adopted into loving forever homes. Many thanks to the HSUS and everyone who signed my petition! Every day inside a Michigan laboratory, three dozen beagles are forced to swallow Adavelt, a new fungicide by Coreteva Agriscience, the division of Dow AgroSciences that commissioned this cruel study. An undercover investigator with the Humane Society of the United States (HSUS) made this discovery, which is documented in the new report, Toxicity Testing on Dogs Exposed. The beagles are being force-fed the fungicide for a year, "with some dogs being subjected to very high doses – so high that up to four capsules had to be shoved down their throats," according to the report. This cruel study does not at all mimic how Adavelt would be ingested by humans. All the beagles will be euthanized in July 2019. Their organs will be removed and examined for any damage done by the fungicide. The U.S. government stopped requiring this inhumane test over 10 years ago, after scientists realized it doesn't provide any worthwhile information. Coreteva Agriscience claims it is conducting the test to meet a Brazilian regulatory requirement. However, Brazil's pesticide authority, ANVISA, told the HSUS that companies that don't want to conduct the test are allowed to waive it. Corteva Agriscience says it won't stop its test until the industry gets confirmation that it's no longer required. By that time, every one of those 36 beagles will likely be dead. 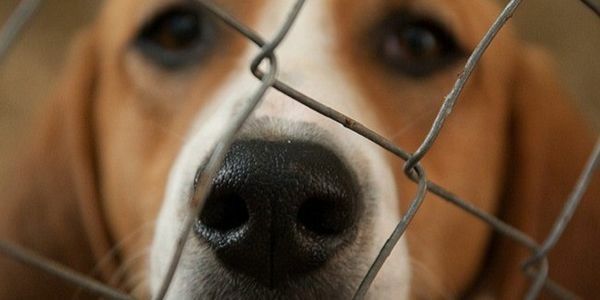 Please sign and share this petition telling Coreteva AgriScience to immediately stop force-feeding beagles with a fungicide and to release the dogs to the HSUS so they can find loving forever homes.